With everything from classic Italian sandwiches, to staples like the legendary lobster roll, Maine has no shortage of excellent delis. Many of these top-notch eateries are family-owned and operated. The best delis in the state have been serving up fresh meat, cheese, and bread to loyal locals for decades. Next time you’re hungry for a sandwich, head to one of these great delis to get your fix! Located in the heart of downtown Brunswick, the Big Top Deli is popular amongst the college students and locals who love a good sandwich. Open daily, the Big Top Deli serves up a range of burgers, hot and cold sandwiches and breakfast. They use only the best Boar’s Head meats and cheeses. If you can’t find something on the menu you like, you can always build your own sandwich. Leavitt & Sons in Falmouth is one of southern Maine’s most popular delis who will be expanding into Portland in the near future. Using Boar’s Head meats and cheeses, Leavitt & Sons makes only the best tasting sandwiches for the most satisfying lunch. They also sell gourmet foods and wine. Started as a simple sandwich cart along the waterfront in Portland, Amato’s now is a full-fledge sandwich shop with locations across Maine, New Hampshire, Vermont, and New York. While not quite a deli anymore, Amato’s is home to Maine’s iconic Italian sandwich. If Italian sandwiches aren’t your thing, then one of their other cold sandwiches, hot sandwiches, grill paninis, or fresh wraps will be. Big G’s Deli in Winslow opened in 1986 as a small sandwich shop and has grown into a 200-seat restaurant with over 30 employees. Big G’s has a creative breakfast, lunch, and dinner menu with plenty of typical deli sandwiches and hearty “homemade style” foods. The Gobblin Gourmet sandwich is the most popular choice amongst the diehard fans. Maine Street Meats is a gourmet specialty food market serving up some of the tastiest food on the mid-coast. Maine Street Meats combined with Bleecker & Flamm is a full-scale, old-fashioned butcher shop, cheese monger, and bakery. Everything you need to make a high-quality and delicious sandwich. Yum! Saco Island Deli is southern Maine’s premier deli who only uses the freshest ingredients to make delicious sandwiches and soups from scratch. The deli uses antibiotic and nitrate free meats, baked goods made with cage free eggs, and GMO-free, vegan wraps. Quality matters to Saco Island Deli. The Turkey Roo-Ben is a popular favorite. Harvest Moon Deli has been voted “Best Sandwich Shop in Greater Bangor” every year since they opened in 2007 by the Bangor Metro. Known for their delicious sandwiches made with the best and freshest ingredients, Harvest Moon Deli now has five delis across Brewer, Orono, Newport, and Bangor. Don’t miss their paninis named after famous singers! Since 2007, Heidi’s Brooklyn Deli has been bringing the tastes of an authentic Brooklyn Deli to the Lewiston/Auburn community. Every day the deli bakes nine different breads from scratch so they can make your favorite sandwiches, like the Coney Island Reuben and Hell’s Kitchen Sandwich. Other menu items include wraps, soups, salads, and fruit smoothies. The Other Side Delicatessen is Portland’s neighborhood deli for all your custom-butchered and house-cured meats, sandwiches, and takeaway. 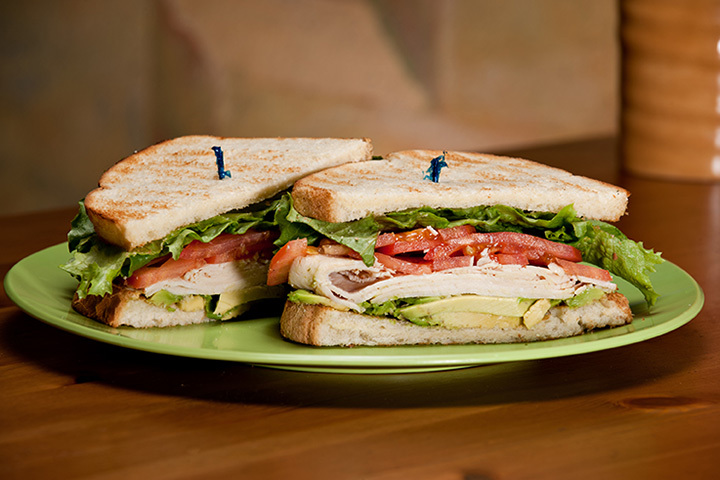 With two locations in East Deering and the West End, you don’t need to go far to order your favorite sandwich. The pork schnitzel and hot pastrami sandwiches are quite good. Located in the foodie city of Portland, no ordinary deli will do. The Sisters Gourmet Deli serves up delicious sandwiches, salads, and soups seven days a week for hungry patrons. Enjoy a range of tastes from the Roast Beast to the grilled cheese to the Two Little Pigs. Can’t make to the deli? Delivery is free in the Old Port.